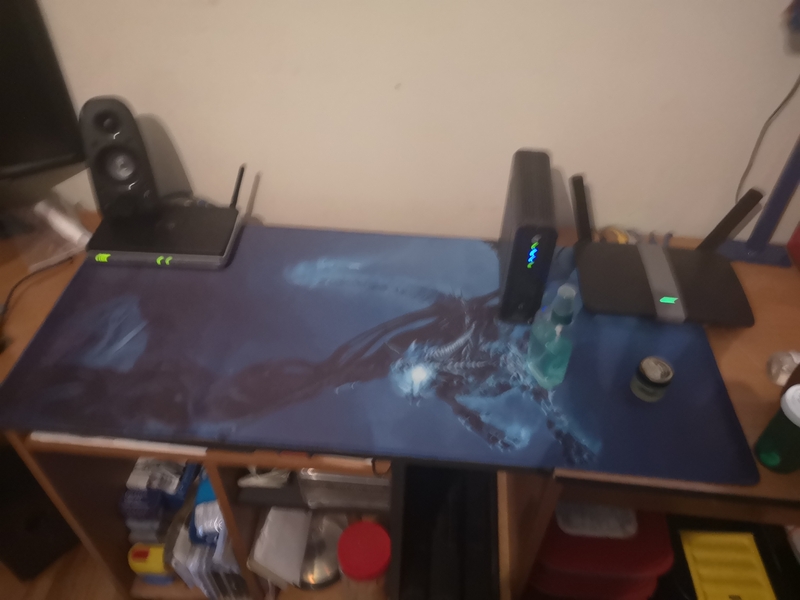 re: Bought a new mouse pad.. Turns out it's alot bigger then we expected . Like it's 2 feet and 10.5 inches long and 1 foot and 5 inches wide.. The bigger the better for mine, since the cat seems to assume that because it's called a mouse pad, he can camp out on it waiting for prey. Yeah, I have to defur my laptop's pad every time I use it. My desktop is in a cat free zone.